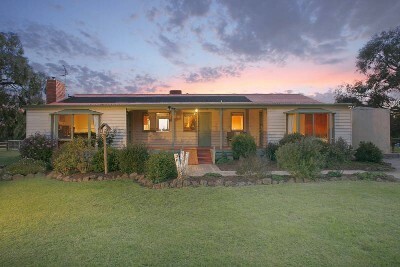 The serene backdrop of the Eastern Ranges provides the perfect setting for this captivating lifestyle property. This refurbished residence, blending original character with superb family entertainment comprises of three bedrooms, master with full ensuite plus a study or fourth bedroom, spacious light filled living areas complete with hardwood floors that offer glazed views to the garden or the pool deck. A central hostess kitchen adjoins the family meals area that opens to a vast entertaining deck. Secluded and sheltered, each paddock is filled via the natural spring dam. The property is enhanced by quality shedding that could double as stables, plus a storeroom. Enjoy the convenience to ride out from the property to nearby riding trails.